Let’s do this. Mix up the crêpe batter. Flour, eggs, milk. Melted butter, a spoonful of sugar, and a pinch of salt. A few splashes of soda water. Sesame seeds, anise seeds, and the zest of an orange. Make a work station next to (or on, in my case) your stove: batter, spatula, a couple pans, and a warm plate for the finished crêpes. Get your pans hot and dive in. Swirl a thin layer of batter around the bottom of the pan. Cook until the crêpe releases, then flip and transfer to the plate. Repeat. Don’t despair if you don’t get it quite right with the first couple. Like pancakes, the first one belongs to the dog. 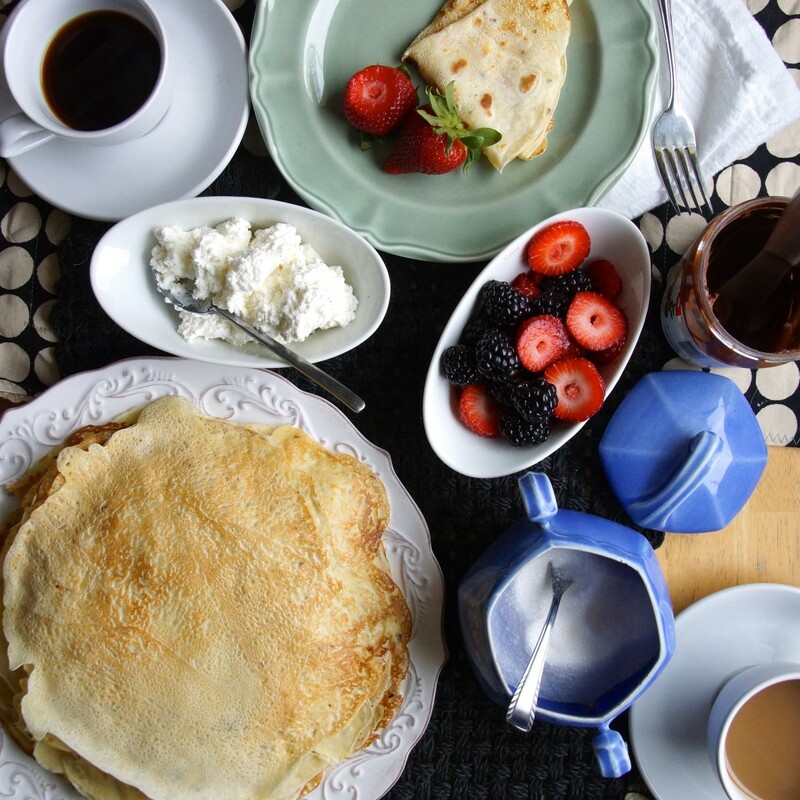 Put the coffee on and set the table with everything you might need. Butter and sugar. Fresh berries. Ricotta with honey and orange marmalade. A jar of Nutella. Coffee. The newspaper. Now settle in–you’ve got a new obsession-worthy breakfast to tend to. I like these crêpes best simply spread with softened butter and sprinkled with sugar, though they're awfully good filled with fresh ricotta and orange marmalade, too. Combine all in a medium bowl and whisk until well-combined. Let the batter rest for at least 30 minutes. Heat a crepe pan (or any non-stick frying pan) over medium-high heat. Using a paper towel, apply a thin layer of vegetable oil to the pan. Pour about ⅓ c. of the batter into the pan and quickly swirl it around until it coats the bottom of the pan. If your batter seems too thick to accomplish this, thin it out with more milk. Cook until the crepe releases from the bottom of the pan, about 1 minute. Flip and cook on the other side for 30 seconds or until golden. Transfer to a warm plate and repeat until you are out of batter. Serve warm with butter and sugar or ricotta cheese and orange marmalade. Just printed this off. Going to leave it lying about where your sister can see it. 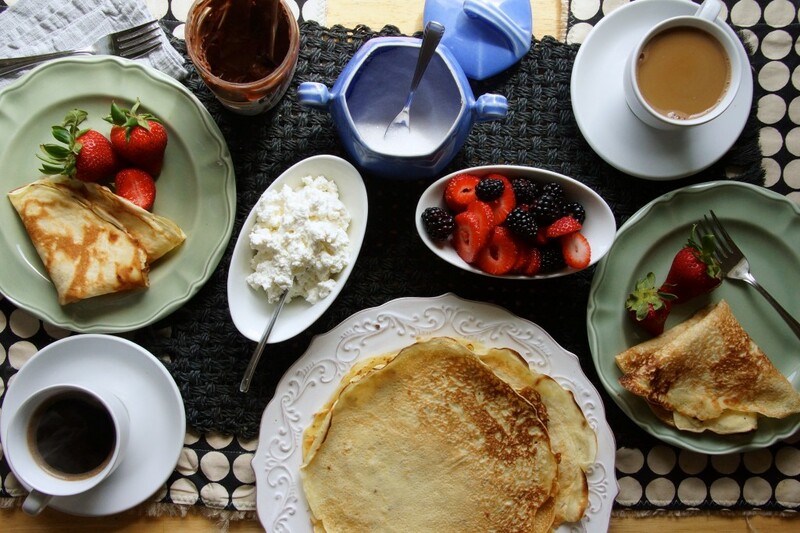 Maybe it will inspire her to rekindle her crepe-making skills for a Mother’s Day breakfast…… looks delicious! I never heard of these before, you have me intrigued. Especially that they do seem a bit expensive (I looked it up on their website) Makes me want to try them that much more! 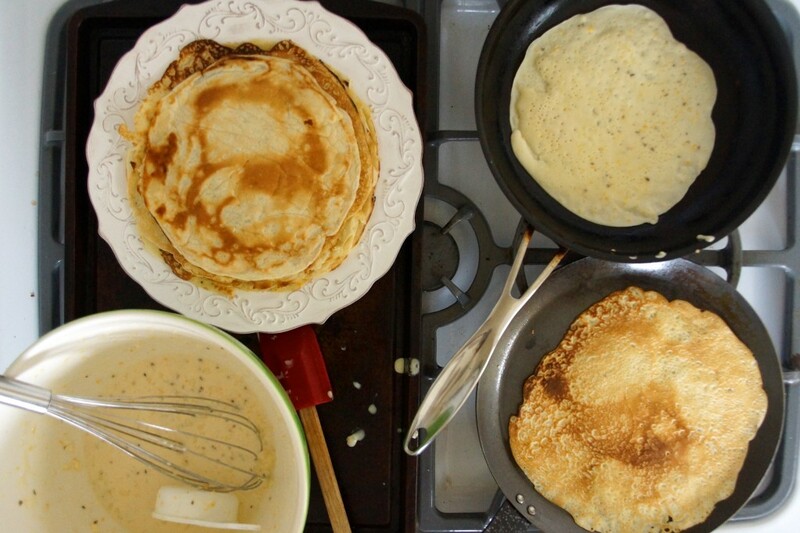 The crackers are worth the splurge, but my crepes are a good stand-in! 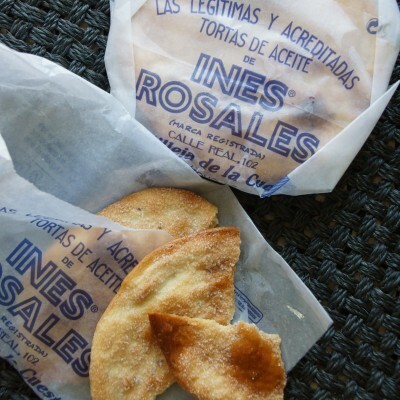 I’m glad I’m not the only one with a serious torta addiction. My only saving grace is that they’re hard to come by in my neck of the woods – which is just as well. These crepes sound delish. I’m definitely going to put them in my crepe rotation. I usually just do a dash of sugar and some nutmeg – but these will make an excellent change. You’re definitely not alone in your addiction! Hope you like the crepes.